Very cute home in South Hill. Newly refurbished wood floors throughout most of the first floor. Great “Old Home” character! Separate pantry area includes fridge, making great use of the kitchen space. Formal dining and living room. Second living space on first floor for home office, family room, craft space, etc. Newer carpet. New front porch paint. Back porch replaced completely 2018. 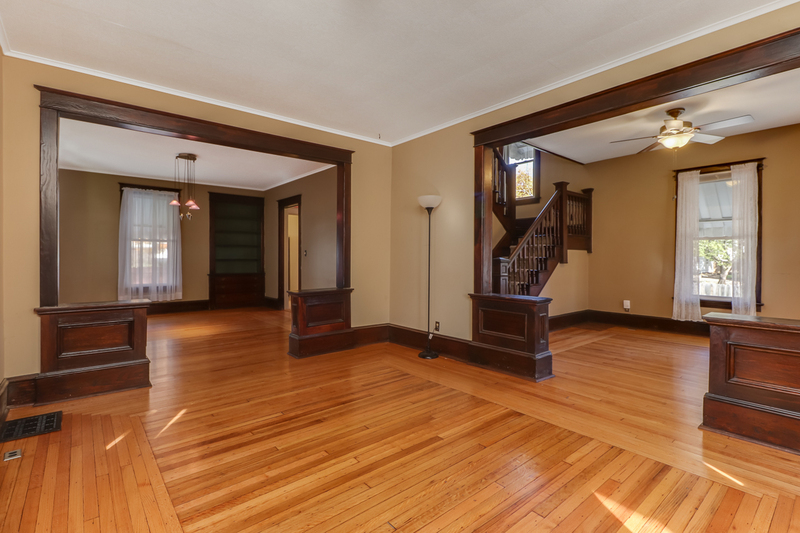 Both bedrooms with big walk-in closets and full bath on second floor. Large, freshly painted full bath offers tons of counter space for all of your vanity needs. Full unfinished basement includes laundry room, workbench, open half bath and storage space. 20amp electrical service installed to garage with outlets and lights. Full duct cleaning 11/2017. Complete tear off and replacement of 30yr laminate shingles on main roof 6/2015. Hot water heater new in 2015. All newer windows. New concrete step and sidewalk in front. Radon system already in place.